We have all heard about destination weddings and have seen the magnificent pictures that are a result of being in a new and exciting location. Many engaged couples, especially if they are from a small town (like me), have trouble finding new and original photo locations that haven’t been used by our best friend, sister, neighbor, baby sitter, etc. I said yes to my prince charming, Lucas Rozendaal, on July 3, 2016. Finding our photographer was one of our easiest decisions. My sister had just gotten married two months prior, and I had just modeled wedding dresses for Jennifer Weinman Photography. We built such an amazing bond during my sister’s wedding as she saw us on one of the most important days of our lives as a family. My photographer saw me as my sister’s Maid of Honor, selected me to model wedding dresses for her styled shoot where I gushed all about how I thought my boyfriend (at the time) would propose soon, and now we get to share another wedding together. Always choose a photographer that you feel comfortable with. Photography needs to be a two way street where the photographer and the subject both are on the same page. When looking at dates to take engagement photos it got a little tricky. I have been studying abroad in England for the fall term of 2016. Jennifer moved to Barcelona, Spain for an entire year starting in July of 2016. Our options were looking like later summer of 2017, or hiring a different photographer for solely doing engagement photos until I had an idea. And it was a crazy one. 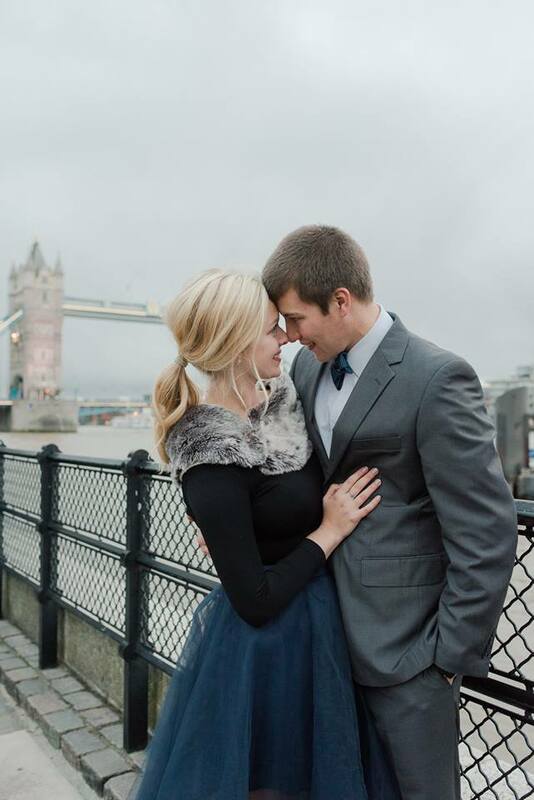 I knew my fiancé and his parents would be visiting me over Thanksgiving in London, so I extended an invitation to my photographer to do destination engagement photos in London. She was just as ecstatic as I was. After months of coordination, planning, and brainstorming our project went more perfectly than we could have imagined. I selected our locations and coordinated them by outfits, mapped out our route and what transport was needed, and chose all three outfits for Lucas and I while abroad in Exeter, England. Since I am an event planner, this gave me something to do as I was missing my fiancé during our long distance relationship. After a full day of shooting all over London in three different outfit changes, it is safe to say we would do this again in a heartbeat. I feel so blessed to have such an amazing memory that was captured so beautifully for us to look longingly at for the rest of our lives. We have unique photographs that could not be recreated back home. 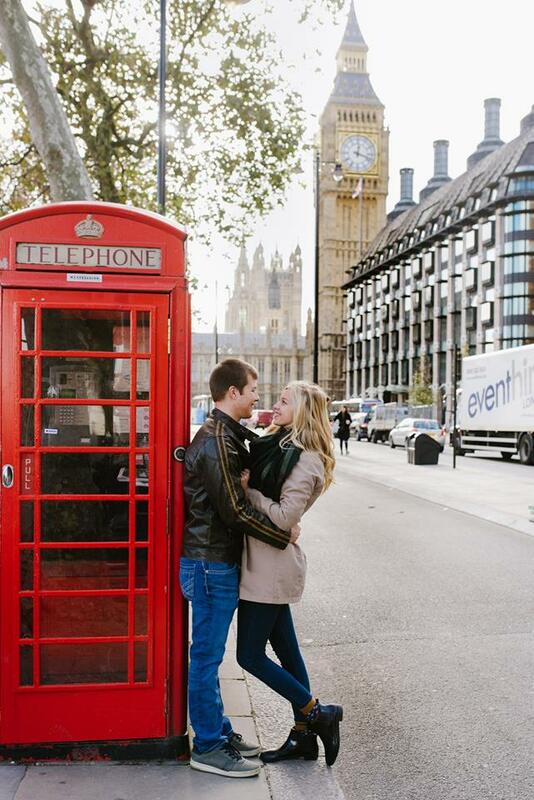 Destination engagement pictures don’t have to be all the way across the Atlantic Ocean. They could be taken on a family trip, a Spring Break road trip, a trip to visit family, whatever is special and meaningful to you. 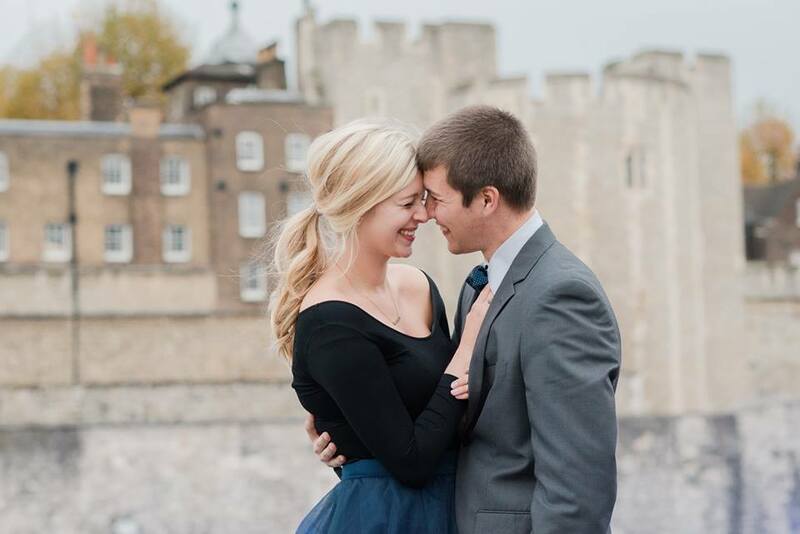 I love seeing engagement sessions where the personality of the couple exudes and shines. When the photographer captures the couples interaction and doesn’t need to pose them often, but does more of a lifestyle portrait. That is what I love about how our photos turned out. They are so genuinely us. Dancing and laughing on the underground transportation system, walking through a flock of pigeons, slow dancing in a garden, kissing in a crowd. Never once was I told to “laugh” to get one of those genuine smiles, because Lucas was complimenting me and making me laugh the whole time. I didn’t feel like I was posing as someone, I truly did feel like I was in a fairytale. So the next time you see jaw dropping engagement photos in Pinterest, figure out a way to recreate them in your own special way. You may not even need to travel as far as London to achieve it.